LuLuLun is one of the best selling sheet masks of Japan and also famous in all over the world. They come in many varieties and different types here. Today I am sharing three of the most popular types of it and how to use it. LuLu Lun Pink is made for hydrating. It is good for all types of skin and reduces the dry skin. The serum of this mask gets absorbed in your skin properly and makes your skin very moisturized, hydrated and soft. LuLu Lun White is specially made for whitening and brightening. Good for oily to combination skin. It brightens the skin, lightens the scar and also very helpful for anti-aging. In the end, it leaves a flawless skin. It doesn't make your skin oily but keeps it soft and moisturized. LuLu Lun Blue has extra moisturizer, which moisturizes your skin deeply. It is good for dry to normal skin type. 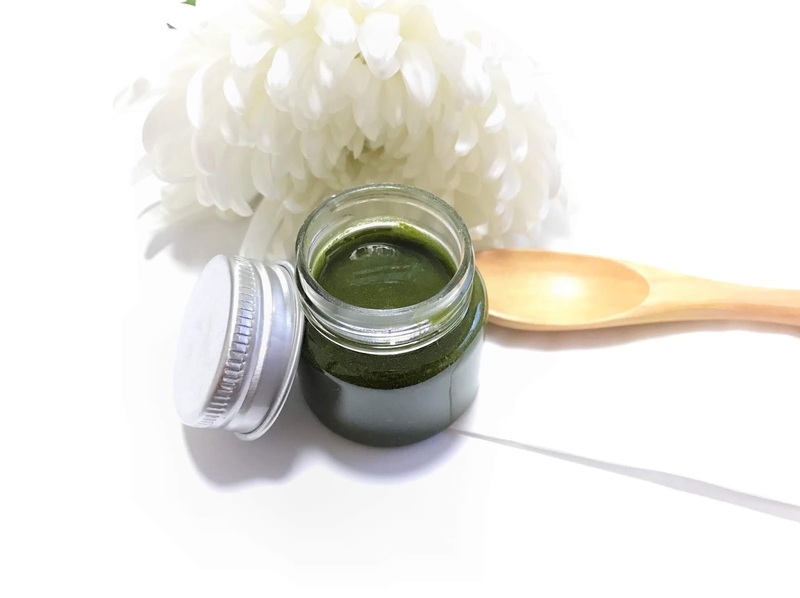 It removes the dead skin cells from your face and makes it smoother and healthier. The masks are made with cotton material to absorb the serum on your face. It fits so well on your skin and doesn't fall off from your face. They come in one day pack, 7-day pack and one month pack. I bought the 7-day pack for $7 but the big pack for one month is more affordable. Wash your face first with your washing foam or cleanser. Take one sheet, apply it gently on your face, you can stretch the mask as per the shape of your face. Hold your cheeks with your palms for a few seconds, so the mask gets set on your face. Leave it for 5 to 10 minutes (Do not exceed more than 10 minutes, it can absorb the moisture from your face when the mask gets dry). Take off the sheet mask from your face, it will take a few minutes to get dry. You will find your skin is more hydrated, moisture and soft. Note- For dry skin, you can use your moisturizer after taking off the mask. For oily skin, you don't need any moisturizer after applying the mask. The only problem I have with it, that it doesn't fit properly on my eyes because of different eye shape, but overall I really love all of them and I want to buy them again and again. In the world of beauty, Japan always comes to the top and it is well known. 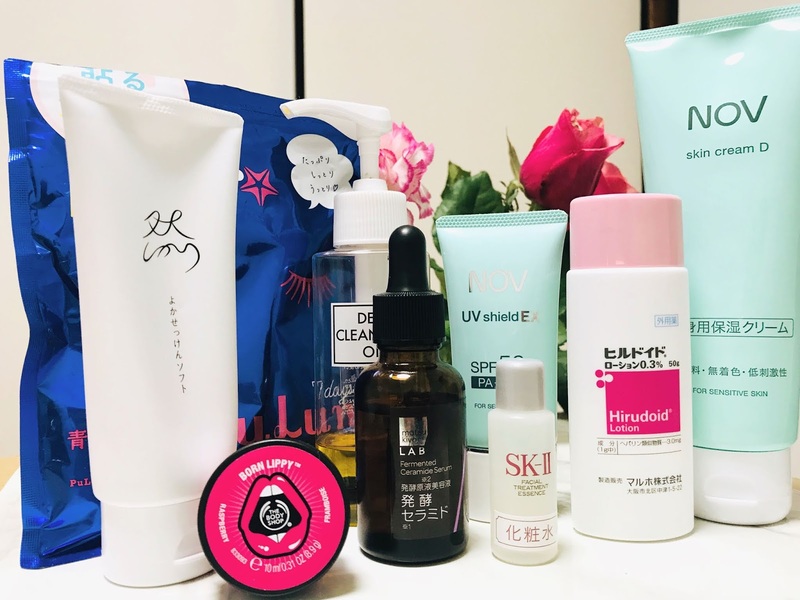 Japan has a huge variety of Skincare and Makeup brands with a wide range of different prices, especially skincare. Japanese Skincare is very popular in the entire world. Japanese women always look younger because they focus on skincare more than makeup. They spend a fortune to take a good care of their skin. Since I am in Japan, I have been trying to take care of my skin as much as I can, the result is my skin looks much healthier than earlier. Today I am sharing the step by step Japanese skincare routine which you would also like to follow to have a beautiful and healthy skin. Morning Routine Cleansing Cleansing is the first step of skincare. You should clean your face properly every time you wash your face to keep your skin away from all the dust and makeup trashes. A good cleanser is very important, so I use DHC cleansing oil to clean my face or makeup twice a day. Matcha green tea is well known in Japan as a drink. It is very old and traditional Japanese tea, Japan also has a Matcha tea ceremony. Matcha comes in a very beautiful green powder form, just mix in a warm water and drink. It is full of anti-oxidants, which keeps you healthy. What You'll Need? To make this face mask, all you'll need is. How To Apply? Take all the ingredients in a bowl, mix them well. Clean your face with your cleanser and apply this pack on all over your face and neck area ( Please ignore eye and lip area). Let it dry for 15 minutes. Wash your face with a lukewarm water and dry your face with patting a soft towel. I am a big fan of Levi's jeans because when it comes about a good quality denim, everyone thinks about Levi's first. They have different categories and they have divided their categories in different fits like the skinny fit, regular fit, jeggings, boyfriend jeans etc. I am not a particular person about jeans so I buy different fits. I already have many jeans from Levi's which I bought from India. 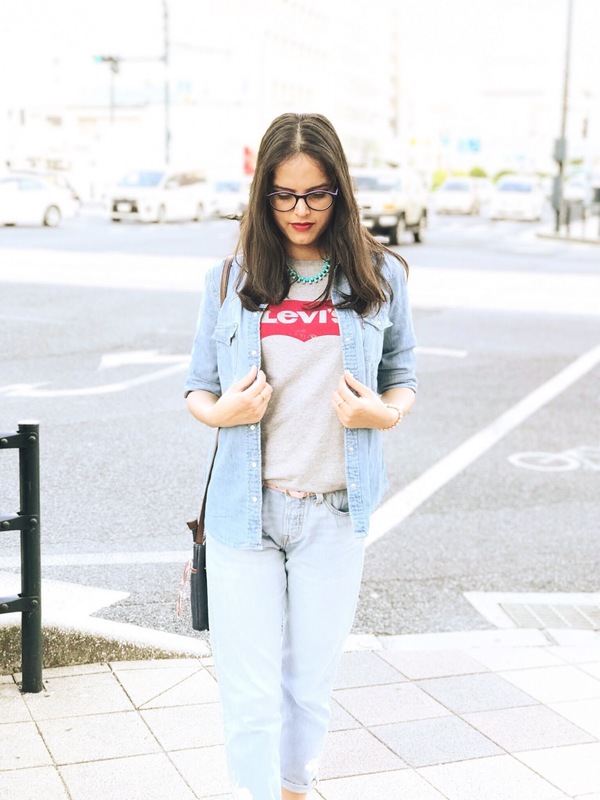 I never tried Levi's Japan, this is my first visit there, and I just loved it. They have a huge variety of jeans for both men and women. I was expecting that it would be very expensive in Japan, but I was wrong, it is so affordable here. Prices were a little bit lower than Levi's India for both men and women so I bought jeans, a denim shirt, and a signature Levi's T-shirt on a very affordable price and the quality is just awesome. Here's the detail what I bought..